The local Chamber cordially invites the people of Crook County to a Masquerade Gala on Saturday evening, April 6. "It's an awards banquet to recognize the businesses, organizations and individuals that have gone the extra mile in the year 2018," said Prineville-Crook County Chamber of Commerce Executive Director Kim Daniels. The gala commences at 5:30 p.m. Saturday, April 6 in the Grizzly Mountain Pavilion at the Crook County Fairgrounds. Tickets are $50 and must be purchased in advance at the Chamber office. Daniels said the event can seat approximately 200 guests and usually sells out quickly. "It's all membership based," Daniels pointed out. "The members are making the nominations, and the members are making the final votes." The Chamber Awards Committee requested nominations in January and then asked its 330 Chamber members to vote on the top three or four in each category. Winners in several award categories will be unveiled, including large business of the year, small business of the year, visual enhancement, community enrichment, volunteer of the year, citizen of the year, lifetime achievement, superior customer service, and new this year, Crook County farming and ranching. 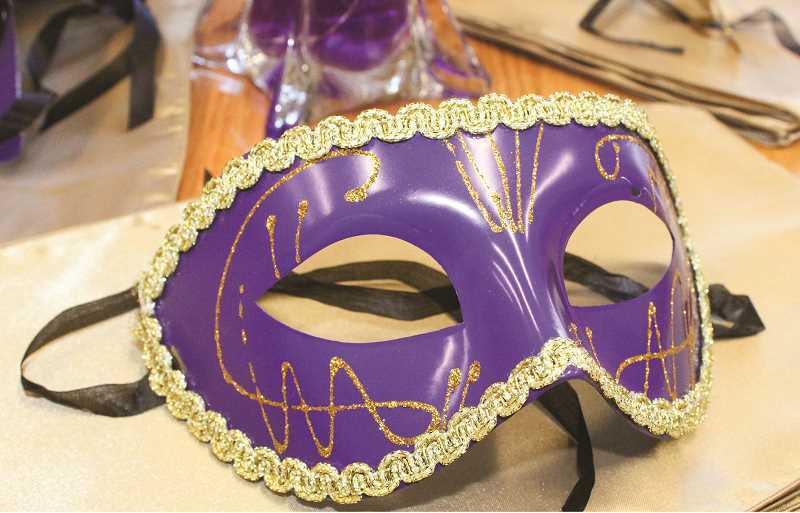 The 20 Chamber ambassadors initially came up some awards banquet themes, and members voted for Masquerade Gala. "It's Prineville, so you're going to have everything from blue jeans to ball gowns. You'll have it all," Daniels laughed, adding that they encourage party-goers to dress the part. "We will have a variety of masks available at the event if someone doesn't have one. They'll be part of the decor." Chamber board member Sheena York, who owns Firefly Events, is helping plan and decorate for the gala. "I feel like it's prom – the adult prom," Daniels laughed. "We don't get to dress up very often." Tom Jay of Studio Jay will provide a photo booth during the party, and Renee Tooley of Olive and Blu Photography will take candid photos throughout the event. Adam Kraus will be the music DJ. Crook County High School student Kyler Michel will play the piano during the awards presentation, and High Desert Dance Arts plans to have a performance of their dancers. Joe Barker of Ochoco Brewing Company will provide the adult beverages, and Bleu Bite Catering, a Chamber member based in Bend, will cater the dinner. As part of the evening's entertainment, Chamber ambassadors are putting together a slideshow of 2018 highlights that will play during the gala. At past annual awards banquets, the table sponsors have provided centerpieces that were then given away, but only the table sponsors were given the opportunity to showcase themselves. "For this year, we are letting all businesses have the opportunity to provide a prize basket to be raffled off, without the cost of sponsoring an entire table," Daniels said. For $25, Chamber members can provide a raffle basket that either includes items or services from their businesses, or they can take a creative approach and do a themed basket. The Chamber crew will help with the display of the basket and provide a list of all of the items. Each Masquerade Gala guest will get 20 raffle tickets to put into the different baskets, and winners will be chosen at the conclusion of the event. In addition to raffle basket sponsorships, businesses may also choose to be a table sponsor, event sponsor, awards sponsor or entertainment sponsor. Daniels looks forward to her first awards banquet as head of the chamber and welcomes not only the Chamber community but anyone else who likes a party. "It's a great way to celebrate Prineville – the people that make it happen and the businesses that are striving to make it better — that's what I like about it. It really is a very community-based event," Daniels said. Location: Crook County Fairgrounds Grizzly Mountain Pavilion, 1280 S. Main St.